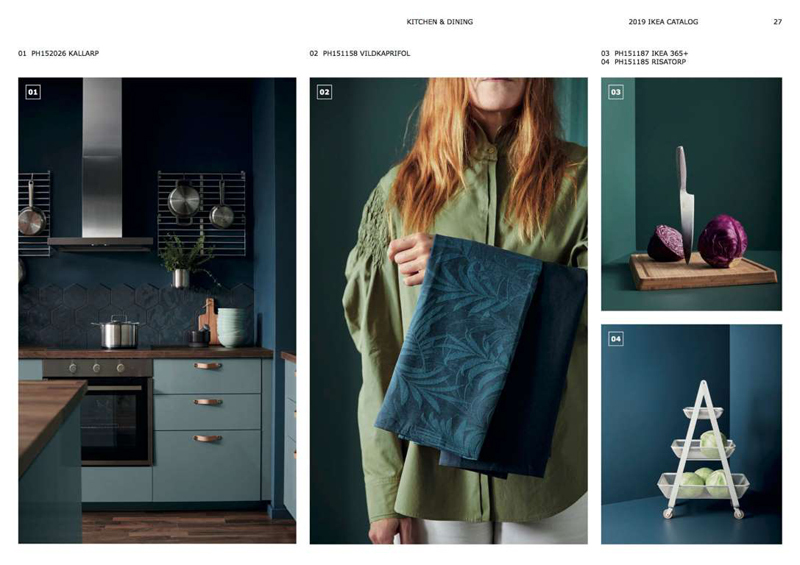 For a while, bright white kitchens were all the rage, but it looks like things may be starting to move in a more colorful direction: The kitchens in the IKEA catalog 2019 are full of darker shades, distinctive accents, and backsplashes that move beyond subway tile. Clutter doesn’t always need to be hidden away like a shameful secret. The items you collect and care about–your keepsakes–deserve to be on display. IKEA is offering the tools so that display seems intentional, which makes all the difference between a messy space and an deliberate one. 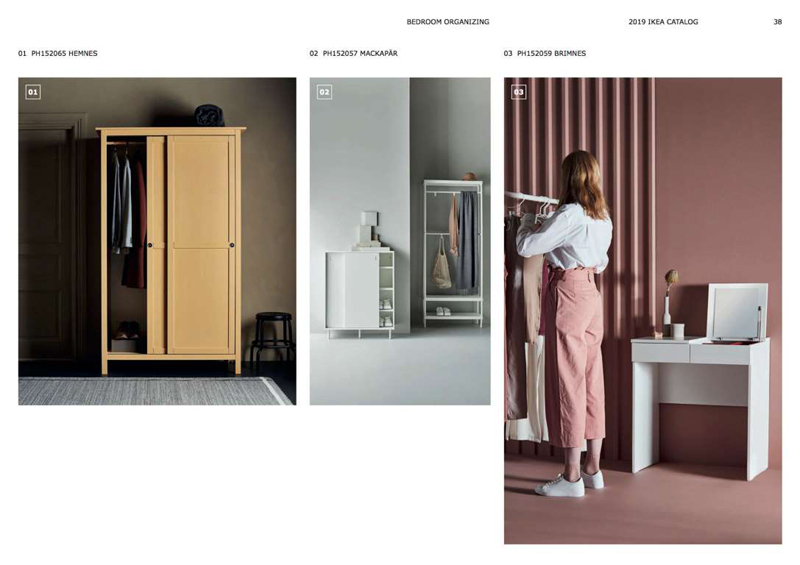 IKEA has always been all about making inconvenient spaces functional, but the noticeable absence of traditional closets in the catalog proves that closets don’t make or break a home any more. Even if there isn’t a single closet at your disposal, there are countless alternatives that can make a space even more functional than a traditional closet can, or even expand upon what closet space is available. 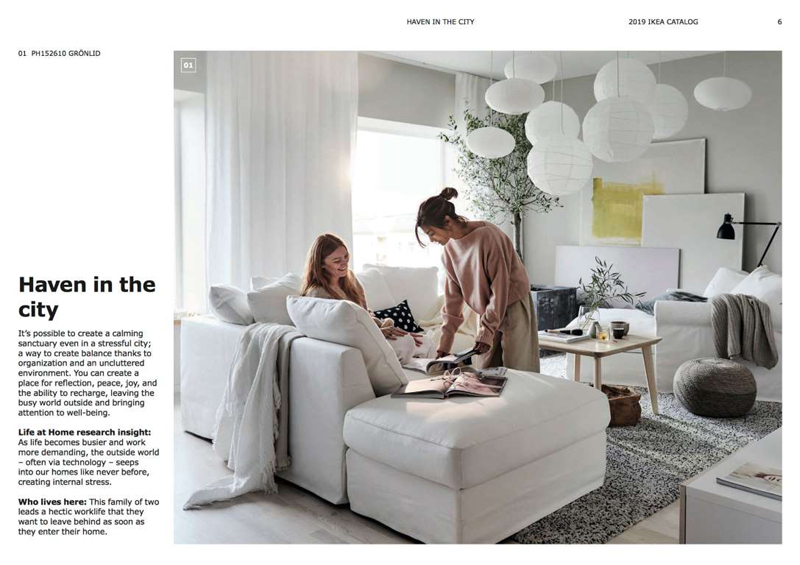 All-white interiors are on their way out; the huge assortment of vividly colored spaces in the IKEA catalog 2019 proves it. 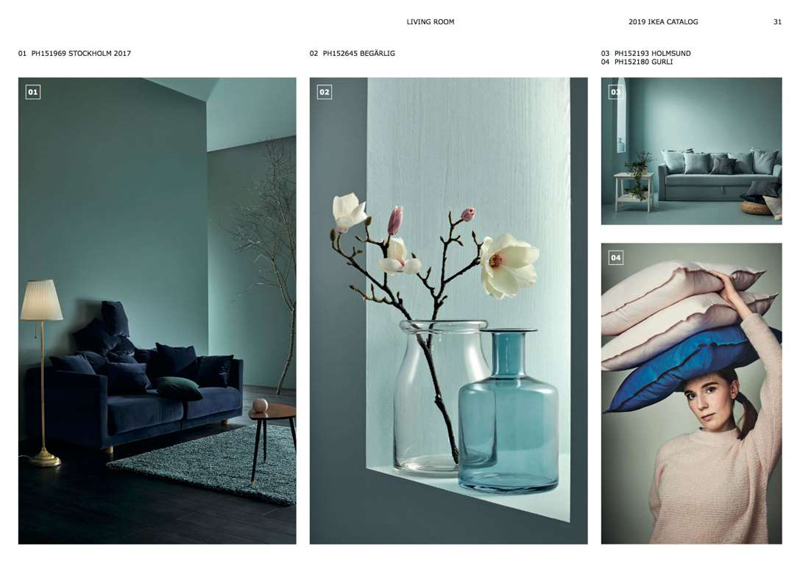 The catalog emphasizes spaces filled with different shades of the same color or color family. The result is a lively, eye-popping collection of rooms that, hopefully, inspires you to take some colorful risks in your own space. Not having a full set of dining chairs is no faux pas. 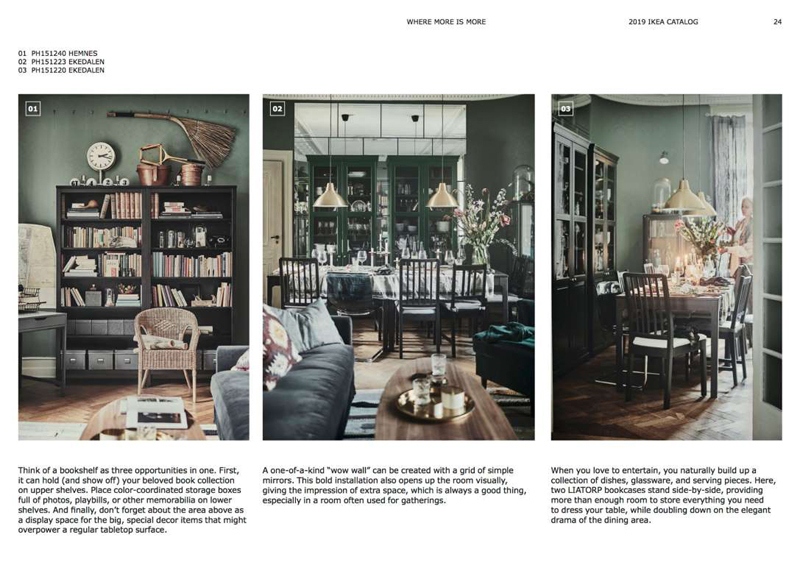 In the catalog, it’s almost intentional, lending a sense of playfulness—and reality—to the rooms featured, giving all of us the OK to host dinner parties and brunches without worrying about placing a folding chair next to a hardwood one. 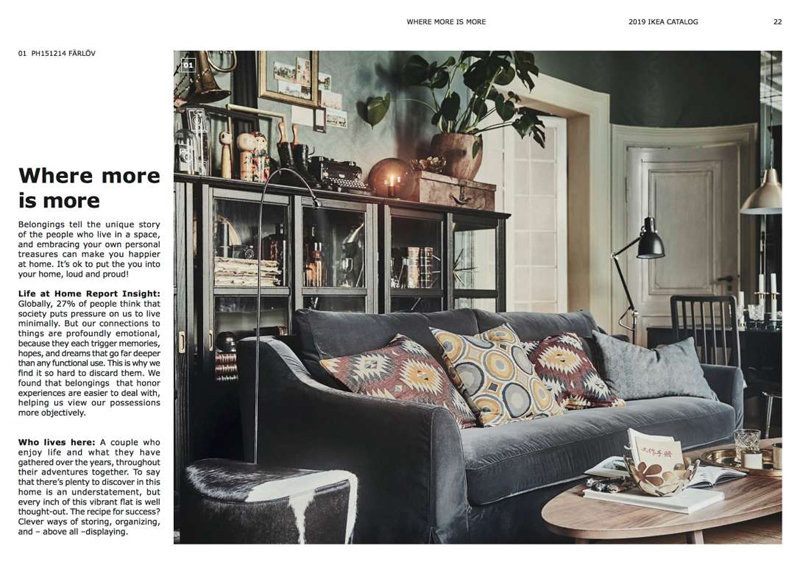 Multi-purpose pieces have long been integral to IKEA, and the 2019 catalog puts them on full display, highlighting couches that double as sleeper sofas with built-in storage and mirrors that have clothing hanging capabilities. Storage pieces serve as tables, lamps are also pieces of art. If everything has multiple purposes, you can be extra choosy about what you bring into your home, ensuring every piece does exactly what you need it to. 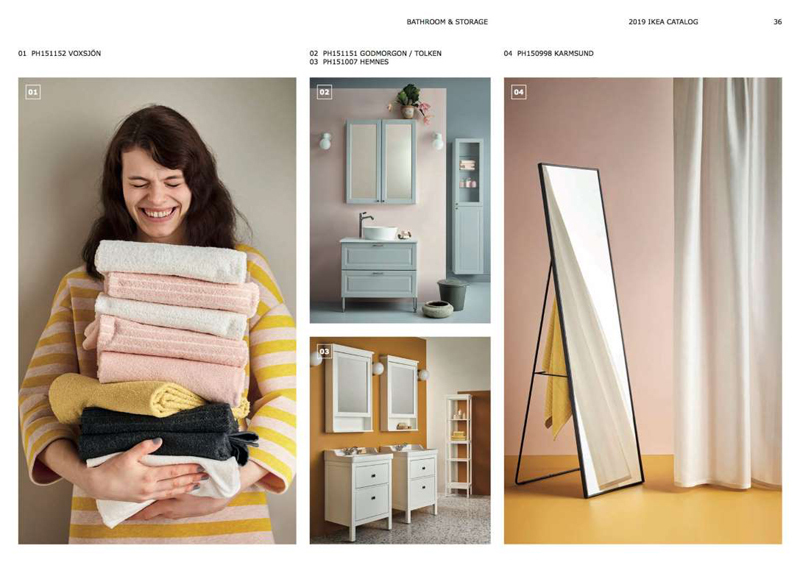 The 2019 catalog doesn’t quite go full maximalist, but it does hint at a design trend of leaning away from the stark, simplified minimalist spaces that have been so popular. The rooms featured feel full of light, furniture, art, and more in ways that bring the spaces warmly to life—a rich alternative to minimalism.